According to Variety, The Academy of Television Arts & Sciences has officially announced that FX’s long-running horror anthology series American Horror Story is no longer qualified to compete on the Primetime Emmy Awards’ Outstanding Limited Series Categories. AHS has now been moved to the outstanding drama categories along with two other shows: USA Network’s anthology crime drama The Sinner and Netflix’s mockumentary series American Vandal. The reason for the change is that the three shows saw the return of characters and continuing plotlines from earlier seasons, no longer making them “limited” in nature. Since the American Horror Story’s debut in 2011, the anthology series from co-creators Ryan Murphy and Brad Falchuk has been competing as a limited series for seven years as each season told a standalone story. 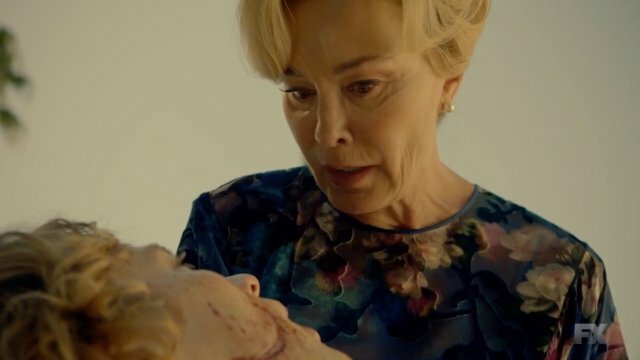 Over that time it garnered a total of 28 Emmy nominations with Jessica Lange taking home two awards for Outstanding Supporting Actress and Outstanding Lead Actress. FX is currently preparing for the forthcoming premiere of American Horror Story’s ninth season titled American Horror Story: 1984. Further details of the new season’s plot is being kept under wraps with long-time cast member Evan Peters recently confirming the he won’t be able to return this season. The Twentieth Century Fox Television production was renewed for two more seasons back in the fall of 2018, carrying it through to season 10. The post American Horror Story Will No Longer Compete in Limited Series Categories appeared first on ComingSoon.net.